Here is the latest technology news on 2dayBlog. LeEco is a Chinese technology company which recently launched a variety of smartphones in India. It is trying to sustain its market in India because the maximum population here belongs to youth. 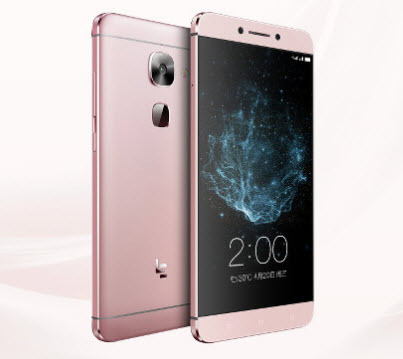 LeEco Le 2 comes at an affordable price of 11,999. This is the most recent smartphone, which can match your budget. This phone is only available for the flash sales at snapdeal.com. Specifications: Powered with 1.8 GHz octa-core Qualcomm Snapdragon 652 processors and it comes with a 3GB RAM. With this RAM, you can run as many apps as you want. These days, Showbox become the main source for watching films. You can get it too, by going through this Showbox app detailed guide. The phone packs 32GB of internal memory and cannot be expanded further which is sad news for some people. It has a 16 megapixel back camera and 8-megapixel front shoot camera for capturing selfies. LeEco Le 2 runs an Android 6.0.1 (Marshmallow) and is powered by a 3000mAh nonremovable battery. LeEco Le 2 supports dual GSM SIM. The connectivity options include Wi-Fi, Bluetooth, GPS, 3G, 4G (LTE supported). Sensors on the phone include Proximity, Ambient light and Gyroscope. The HD 5.5 inch display with IPS capacitive touchscreen. It weighs 153g which makes it easy to hold. LeEco Le 2 uses a furnished metal body which is similar to Le 1s. The phone is very comfortable to hold, but you might find edges a bit too sharp. The weight is 153g which is less compared to Le 1s’s 169g. The volume and power buttons are available on the right, and dual SIM slots can be found on the left. The back camera is positioned in the centre and is also slightly thrust of the rest of the body. Just below the back camera, you have a square shaped finger scanner. Narrow sides make it a fair one-hand usage. There s TYPE-C USB port for data transfer, charging and a CDLA port for digital audio. Overall the design is quite good, and the metal body is not slippery. It comes with a good feature set and a Qualcomm Snapdragon 652 chipsets with two quad-core Cortex A72 and the A53 cluster which is together clocked at 1.8GHz. A non-expandable 32GB internal memory (available memory 29.1GB) which can be a non-suited factor for many. A 3000mAh battery which supports Quick charge standard. The camera capture quality is somewhat average. The screen density is sharp, and brightness is average. Pixel density is around 400ppl which is similar to Le 1s. Watching movies and videos are a pleasure, but contrast is not as you expect.